We're super excited about Sherlock Gnomes, the new Gnomeo and Juliet romantic comedy adventure film being released March, 2018. With great music from Elton John, and the full cast of our favorite adorable Gnomeo & Juliet characters, it is a smashing good time all over again! 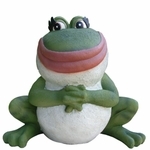 Are you looking to bring all the excitement and fun into your very own garden? 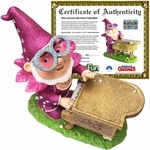 Recreate the garden fun adventure with Officially Licensed Gnomeo and Juliet statues Sold Exclusively at GardenFun.com! 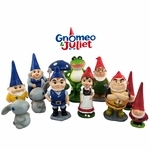 Buy Gnomeo & Juliet Statues today, and then get Sherlock Gnomes to protect them, and the rest of your garden gnome collection! The calls from these customers go on to describe a passionate story in detail about purchasing gnomes to play a sneaky game where there move or add gnomes in the middle of the night, purchase surprise gnomes, secretly place gnomes in others yards, and basically create a hilarious gnome mystery series of their own! When we first heard they were making a movie called Sherlock Gnomes about a detective hired to solve the case of missing gnomes, we nearly lost our minds with excitement! Talk about art imitating real life, it's true! 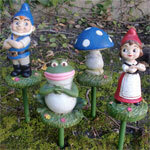 Of course, we also just love all the Gnomeo and Juliet characters coming back to the big screen! 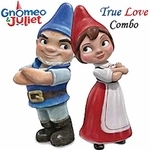 Our two-gnome "True Love" set of Gnomeo Montague and Juliet Capulet have been one of the most popular pairs of gnomes we've sold! Another favorite garden gnome from Sherlock Gnomes is Sammi, the original Mankini Gnome. With fully designed G-String bathing suit that everyone loves, pink cheeks and all. 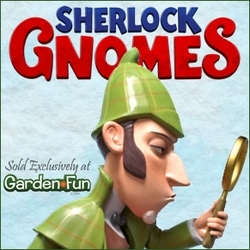 Surprise the Sherlock Gnomes fan in your family with a few funny garden gnomes from the movie. A shy Paris gnome by your vegetables, or Sunflower Benny between your sunflowers. 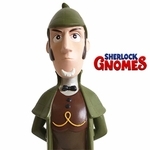 All the Sherlock Gnomes characters are recognizable and tons of fun to display. Create a romantic love scene by your rose bushes, or place the twerking Mankini gnome by the pool. Just don't forget to pick up Sherlock Gnomes to protect them all. 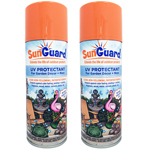 Available Exclusively Online at GardenFun.com!